Golfer Padraig Harrington says he does not allow the outside world into his head - and he ignores social media to maintain his focus. The three-time Major winner told the captive audience at the Web Summit that, physically, he is in as good a shape as he has ever been, as he takes a break from competitive action until the New Year. Speaking to the Irish Independent, the 44-year-old said he hasn't read a newspaper article about himself since he was 18 in order to keep his focus. However, he conceded that blocking the ever-increasing volume of social media messages is a "massive challenge". "I don't allow the outside world into my world. I have a few confidants, a few advisors, I take their advice on board," he said, before recalling the one and only time he read comments on his Twitter account. "I had an interesting one this year," he said. "One of the other golfers was on Twitter and he sent a picture out of the two of us on the golf course. It was sent to my notifications. I went into my notifications, which I hadn't done before, and clicked on it. "I saw the picture and I read the next three tweets. This was the week before I won in Honda. "The first tweet was basically slagging off my caddie. The next tweet was about me, and the next one was about me and I didn't find them so funny. I haven't looked again. There's no point." The Dubliner is adamant he has no problem with the public voicing their opinion. However, they do not help him achieve his goal of golfing success. "There's nothing wrong with what the people were saying. Everyone's opinion is valid. I just don't need to listen to it. "I'm not critical of anybody out there having an opinion and giving that opinion. I'm just saying I can't let it into my world." 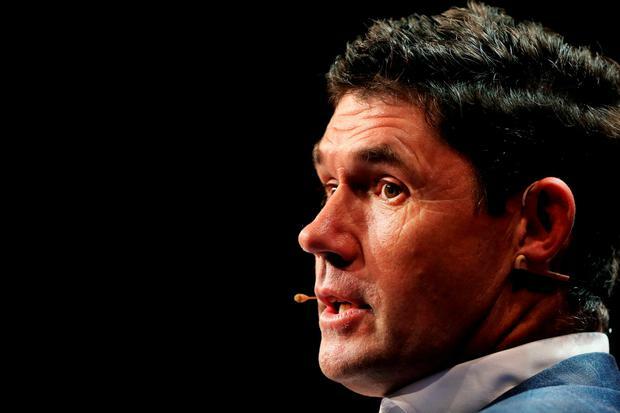 Padraig told the Web Summit audience that he will use his break from competition to recharge his batteries and to help find a consistent level of performance throughout the coming season. He also discussed the dangers of peaking too early. Referring to the Rugby World Cup, where many teams, including Ireland, struggled to back up a huge performance with another within the space of a week, he said: "I want to plateau for the year. I know that sounds like a long period of time, so maybe a couple of times a year. My year is totally judged on how I do in the Majors...but at the end of the day, peaking can be very dangerous...You can go to the recent Rugby World Cup and every team that peaked seemed to lose the game afterwards."